Messier 82 (Cigar Galaxy) is a starburst galaxy about 11.5 million light-years away in the constellation Ursa Major. A starburst galaxy is a galaxy which is undergoing an exceptionally high rate of star formation, as compared to the long-term average rate of star formation in the galaxy or the star formation rate observed in most other galaxies. In a starburst galaxy, the rate of star formation is so large that the galaxy will consume all of its gas reservoir, from which the stars are forming, on a timescale much shorter than the age of the galaxy. As such, the starburst nature of a galaxy is a phase, and one that typically occupies a brief period of a galaxy’s evolution. The majority of starburst galaxies are in the midst of a merger or close encounter with another galaxy. M82 is five times more luminous than the whole Milky Way and one hundred times more luminous than our galaxy’s center. 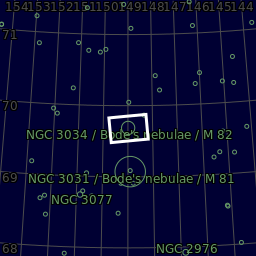 More importantly, on 21 January 2014 a previously unseen star was observed in M82 at +11.7 magnitude. 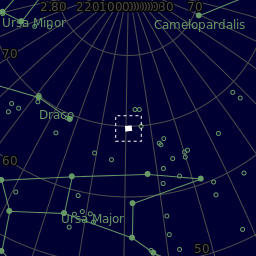 It had brightened to magnitude +10.9 by 23 January. 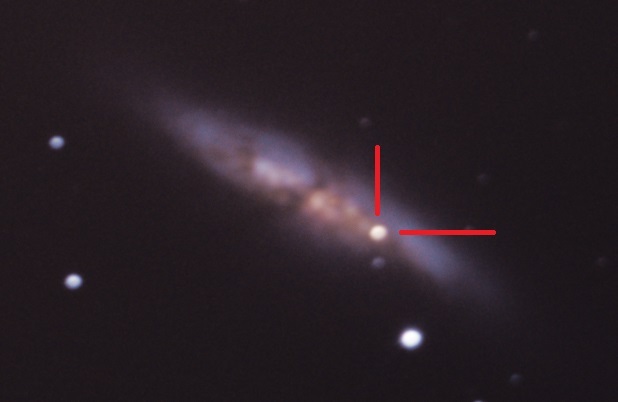 Preliminary analysis classified this new star as “a young, reddened Type Ia supernova”. 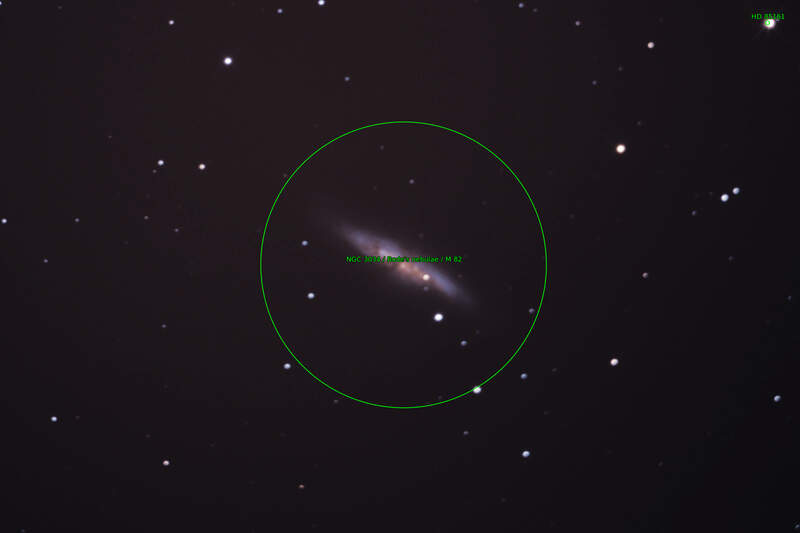 This is one of the closest supernovae to earth observed in recent decades. of the event which took place 11.5 million years ago ! !